A new TV channel, East Asia Televison (EATV) will be launching in the UK in 2014. Bringing the best of Korea and more to your TV, read on to find out more! 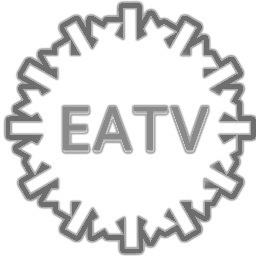 EATV is an up-coming TV channel which will be broadcasting dramas, anime, movies, music and more from China, Japan and Korea, but unlike other channels of its kind, EATV will be broadcasting in the UK! The channel will be launching through Sky in Summer 2014, with a launch on Virgin Media intended shortly after. EATV also plans to potentially broadcast on Freeview meaning the channel will be available to all – if the demand calls for it. There are also plans to broadcast in HD, no more 240p for you! In regards to subbing and dubbing; EATV staff have said they are currently testing a dual audio and subtitled system, which will than allow you, the viewer, to flick between your preferred type – although we have a feeling many of you prefer subs over dubs. This choice will be available if the testing period works out, however, if it doesn’t work out then the version will be whichever is provided to EATV to be shown. Although the service is planned to be launched in Summer of 2014, EATV have something cooking for the New Year, so keep your eyes peeled for their big press announcement on December 9th from 9AM. But don’t worry if you miss it, we’ll be sure to keep you all updated. And for those not in the UK, unfortunately the wait for you is a little longer, with announcements from EATV coming in 2015. When the channel launches in Summer, the schedule is to kick off with a line up of Anime. So whilst you wait for the broadcasting of all the Korean things you love, submit suggestions of shows, movies etc for EATV to look into on their schedule page here. You can also check out their Twitter here, and for more info check out their About page. So who’s looking forward to the launch of EATV? Stay tuned for more info.